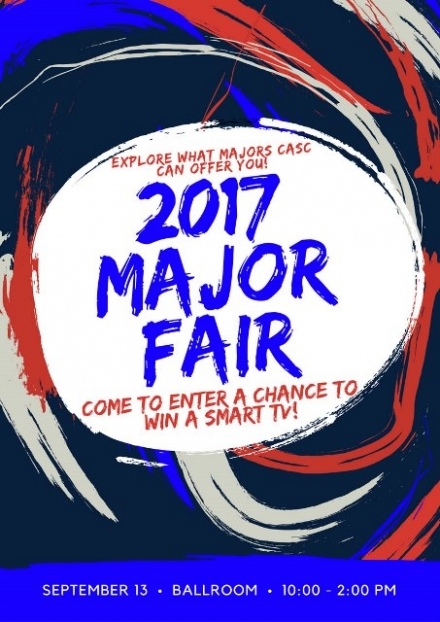 A Major Fair will be Wednesday, September 13, 2017 at Carl Albert State College’s Poteau campus. The fair will be in the Costner-Balentine Student Center Ballroom from 10 a.m. to 2 p.m. According to CASC Vice President of Enrollment Jennifer Humphreys, the Major Fair is an excellent opportunity to meet with faculty, staff, and current students to discuss all the different majors CASC offers. Students can use this time to explore potential areas of study and discuss career options. For additional information, call 918-647-1248. CASC Mission Statement: To provide an affordable, accessible, and exceptional education that fosters student success.